To increase the usage of cryptocurrencies, Binance cooperates with PundiX. Pundi X is the company having payment solution for cryptocurrency holder, they have Pundix App for you to manage your balance with BTC, ETH, BNB. They have physical Pundix merchant machine, it will generate physical invoices once you make transactions by using Pundi X accounts. 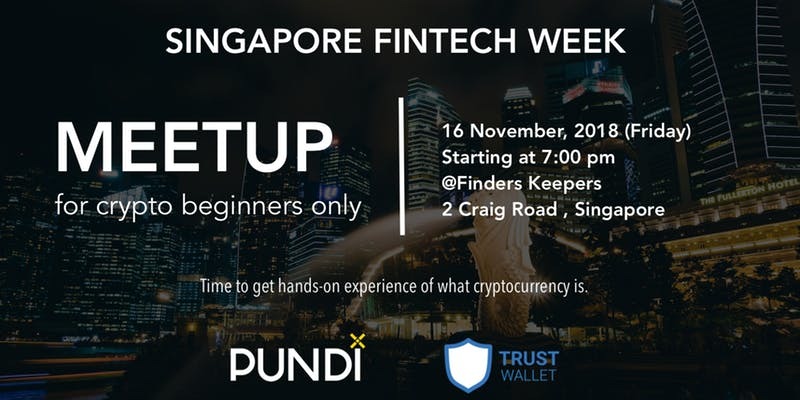 The venue is held in a bar with fried chicken, sausage and drinks, where they use Pundi X payment solution. The meeting starts with Binance Business Developments Manager introduces Binance, if you download Trust Wallet, she will reward you with some BNB. Pundi X had the second introduction about how they successfully operate in the Taiwan market. Event ticket is 10 SGD as they will credit to your Pundix account later, once you enter, they gave you a Pindix card XPASS with some code, in the end, is to activate your Pundix account by Pundi X merchant machine. I think this event is well-organized, they teach people how to implement the cryptocurrency to real life, although the changes still need to make more effort for people to get used to it.